Appreciation of all the wonderful things about you! 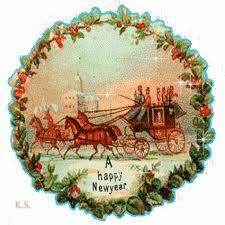 Blessings to all and see you in January! 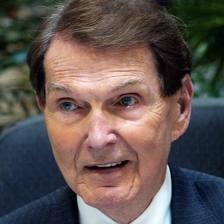 Tim Lahaye is a familiar name in most Christian households. After all his Left behind series alone counts many fans throughout the world. We are human and we tend to wonder about 'what if' and 'after'. In his novels, Tim Lahaye leads us to imagine a very plausible future, linking his plots to many current events. What makes it so successful, is the author's knack for realism! No one who reads Tim Lahaye's novels can deny you feel a chill when the eventual plot is uncovered. He does it well! With fascinating characters and fast paced action, this first novel of the End Times series written by Tim Lahaye and co-author Craig Parshall is so believable it reads more like an actual news report. National security, Global alignment and political intrigues are woven in a scary scenario all too probable with the present world's unrest. 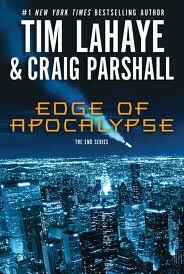 Together Craig Parshall and Tim Lahaye offers us an excellent debut to a new series complete with end times prophecies and the threat of another world war. You will find yourself engrossed in the plot from the first chapter and this is another book hard to put down! Anyone who does not experience some tremulation at the sheer uncanny plot obviously missed the point! This is an excellent novel inspired by faith to be shared by any Christian! I can only give this one 5 stars! Note to readers: Negative reviews of such novels are always surprising to me...The label 'Christian fiction' is after all very clear! 'Tim LaHaye has written more than 60 non-fiction books on a wide range of subjects such as: family life, temperaments, sexual adjustment, Bible prophecy, the will of God, Jesus Christ, and secular humanism with over 14 million in print, some of which have been translated into thirty-two foreign languages. His writings are best noted for their easy-to-understand and scripturally based application of biblical principles that assist in facing and handling the challenges of life'. Craig Parshall is a highly successful lawyer from the Washington D.C. area and the author of the of legal thrillers, Chamber of Justice series. 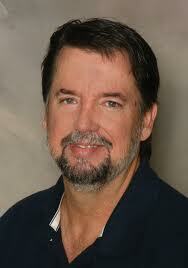 He has also co-authored three books with his wife Janet including their new Thistle and Cross Series. ...'Aristotle made the astoundingly obvious declaration that a story contains a beginning, a middle, and an end. But his observation was true – look at the structure of the Bible, and the entire plan of human redemption – from 'in the beginning, God …' in Genesis to 'I am coming...' in Revelation. Story telling, in this light, is a holy work. It is powerful calling. One literary critic once said that the story educates the imagination to higher moral resolve. 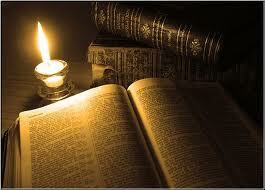 But I say, that Spirit-filled writing can illuminate the soul, and impact eternity. God could have laid out His plan for salvation in a ten-volume theological treatise and then could have required all of us to read it. 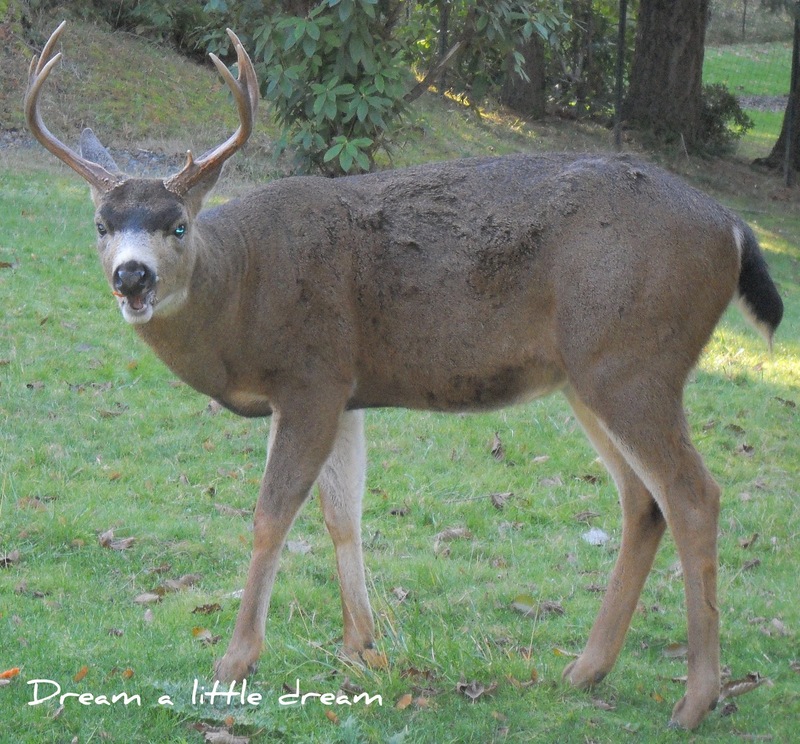 Instead, he told us a story – a true story – and wonder of wonders, we are in it. An excellent debut I felt as I was really looking for something relaxing to read and I have always believed in faery tales! This was just the right novel for a cold, blustery and rainy evening! 'Three days later, when Lillie was sure that Mack would live, she started planning his funeral.' is only the beginning of Chapter 8...I forgot the time and just kept on reading! 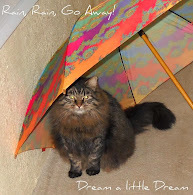 Lynn Austin once again delivers an enticing story which is sure to have you alternate betwixt laughing bouts and tears! There is something almost magical in Lynn Austin's writing and I have yet to read anything I did not like by this author so I will heartily recommend her novels. Just short of spellbinding, each page of her Christian novels allows you to step in a different time frame and her characters beckons readers to immerse themselves in her stories. 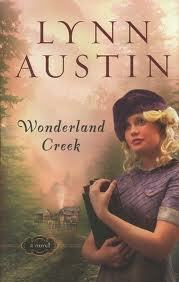 In Wonderland Creek we discover the harsh lives led by the proud mountain people of Kentucky whom with much determination survived the Great Depression. You find yourself almost envious of the simple lifestyle, the traditions, the intricate families connections and above all, the beauty of the surroundings! As is customary with Lynn Austin's novels, you will find a marvelous balance betwixt history lessons, rich settings, amazing and often gripping characters and of course a good dose of Christian wisdom. When all is said and done, this is one author's writings worth every 5 stars given! Did you know...Tenbury Wells, an ancient market town in north-west Worcestershire, is just a few miles from Birmingham yet surrounded by the beautiful countryside of the Teme valley. It is also the mistletoe capital of Britain – much of the UK's mistletoe grows in this part of the Midlands, and the parasitic plant thrives on the fruit trees in the many orchards dotted around town. Mistletoe auctions have been held there for more than 100 years, and they still survive today, alongside a host of other mistletoe-themed events. So go for a romantic stroll (you do not have to be back in Old UK!) and kiss under the mistletoe! HAVE A WONDERFUL BOXING DAY EVERYONE! 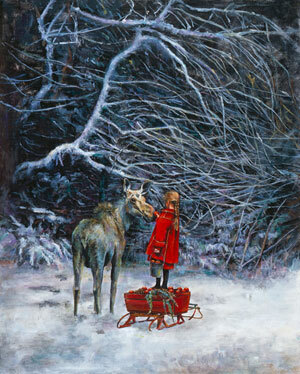 I love this story and Lori Preusch's painting seemed the perfect illustration! 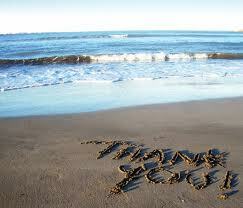 To each and everyone, thank you for sharing! Thomas, Mika, you are indeed two very special people! Merry Christmas to you and your family and thank you for sharing with us all that is in your heart! 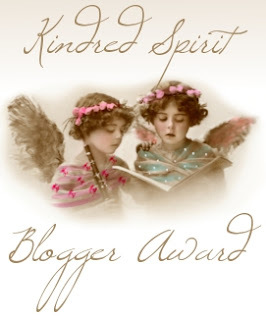 The second award is the 'KINDRED SPIRIT AWARD' and this one is going to a blogger who always amazes me with her insights, her thoughtfulness and love for others! I have learned so much from Ann! Just stop by her blog, 'The Priest's Housekeeper' and discover this kindred spirit! Merry Christmas Ann (and you too Canon)! May His light shine upon you always! There should be many more awards...The world of bloggers is a wonderful place and I constantly discover new faces and places! I would miss each and everyone if the world went suddenly dark and we had no Internet! I cannot close without mentioning just one more...Take a moment to glance at the elegance of Madelief's site...She brings a touch of a world filled with little treasures and good taste...Discover it for yourself and enjoy! Moge de vreugde van kerst altijd met u en de uwen Madelief! 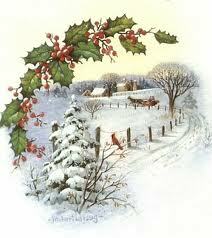 May the Joy of the Season be with all of you always! Rick Denton lives his life on his terms. He works hard, plays hard, and answers to no one. So when his mother calls begging him to come home after his stepfather has an aneurysm, Rick is more than a little reluctant. What was supposed to be just a couple days helping out at the family bookstore turns into weeks of cashing out old ladies and dealing with the homeless guy who keeps hanging around the store. The one bright spot is the lovely and intriguing young woman who works at his side each day. I almost did not see this book on our local library shelves...But one glance and the cover just called to me! 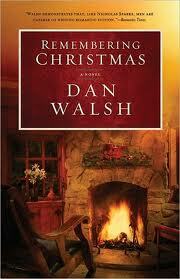 You could almost step in the photo and Dan Walsh's writing always promises a good tale! 'Remembering Christmas' is the warm story of one man's change of heart and the lives he touches along the way! Dan Walsh gives us a delightful tale of forgiveness and love set in the 1980's in this classic and you will love to discover each character's personality! 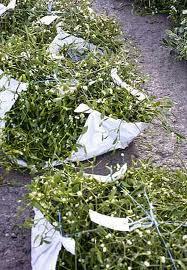 This is after all Christmastime Folks and anything is possible! Set in a basement bookstore, the amazing kindness of two loving people, the quaint but very faithful customers, the helpless homeless hanging around, a loving but struggling Mum and her little girl and a very successful man are some of the protagonists in this unforgettable story just in time for Christmas! The author uses careful details to remind us of times gone by and you might chuckle (groan maybe?) a time or two at the mention of a gallon of gas for i.e.! This is a story that radiates warmth and reminds us that kindness is the reason for this season! With a few strokes of a pen (keypad) Dan Walsh reaches out to everyone and I am certain you will have a hard time to put this book down! "Several of my novels are considered historical fiction. When I was young, I used to hate history. Years later, I discovered some non-fiction history books that read like page-turning novels. They made history come alive. 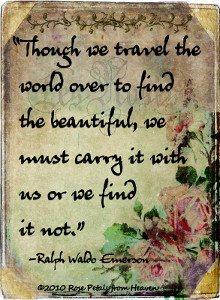 and thoroughly enjoy themselves, while we also explore some of the themes in life that matter most'. Note to readers: I was not asked to review this book and any opinion reflected is entirely my own! 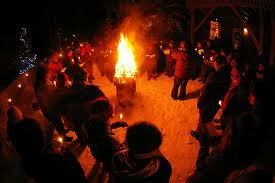 Today many celebrate Solstice or 'Sun stands still'. This astronomical event coincides with the Holidays and is celebrated by many different cultures deeply rooted in ancient religions! 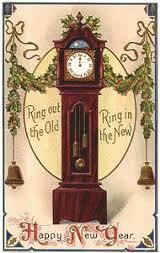 The seasonal milestone marks the rebirth of sunlight after the darkest period of the yearly calendar. 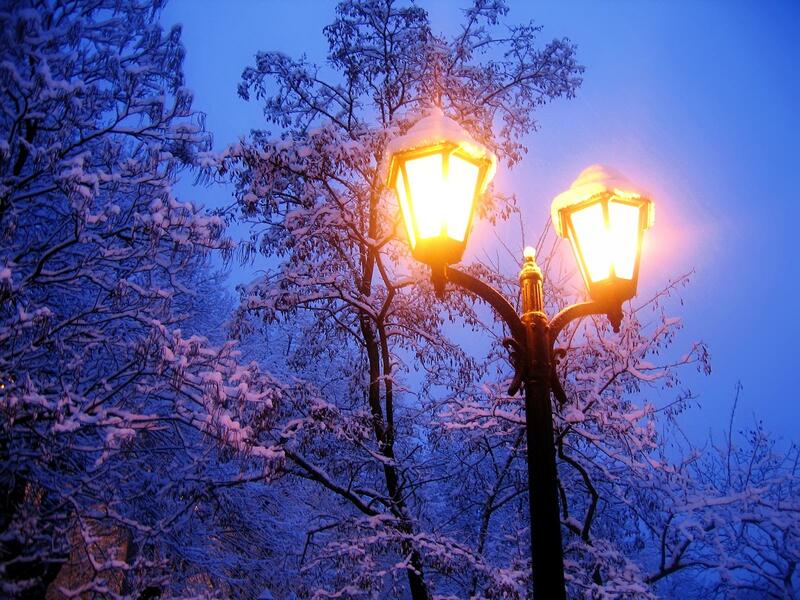 For us here in the Pacific Northwest coastal region or the Northern Hemisphere, the Winter Solstice occurs in Decembre when the tilting of the Earth makes the Sun appear to be furthest to the south and furthest away. In the Southern Hemisphere as in Australia, both the seasons and solstices are reversed. The food is put away for the winter, the crops are set aside to feed us, the cattle are come down from their fields, and the sheep are in from the pasture. The land is cold, the sea is stormy, the sky is gray. The nights are dark, but we have our family, kin and clan around the hearth, staying warm in the midst of darkness, our spirit and love a flame a beacon burning brightly in the night. Did you know there are several legends about Chimney sweeps? A Chimney Sweep is said to be "The" harbinger of good luck. One legend has it's origins in old England, where King George was riding horseback in a royal procession. 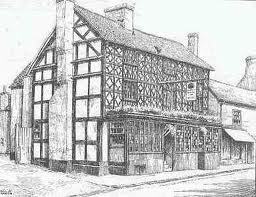 A dog ran from the crowd, barking and nipping at the King's horse. The horse reared, and to the horror of the crowd, almost threw the King! A lone figure, shabbily dressed and filthy, stepped into the road. He caught the horse's halter and calmed the animal. As quickly as he appeared, the man faded back into crowd. The King, wishing to reward the man, asked his name. No-one knew the man's name, but many told the King that he was just a Chimney Sweep. The King declared that from that day that Chimney Sweeps should be regarded as Lucky! To this day we hang in our tree at Chrismastime a Chimney Sweep figure...Just one of our many traditions! How about you? Do you have a special tradition? Winter will soon be here and the days are getting much shorter and the nights are long...hence we like to get together around the table for something warm to eat and once the dishwasher is loaded, we settle down for a movie...This year (would you believe this is our first time?) we discovered 'It's A Wonderful Life', an amazing story sure to be become one of our favourites and then....'Christmas Story' or how Santa became Santa! This Christmas, a great secret will be revealed. Have you ever wonder how Santa Claus came to be Santa? heartwarming tale of how the gift giving tradition was created will bring holiday joy to the entire family! 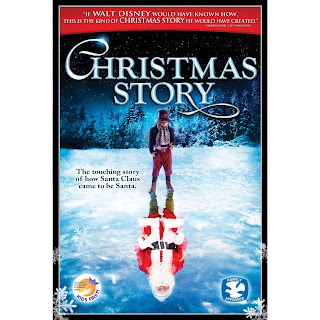 'Joulutarina' or 'Christmas Story' is a Finnish movie of how Santa...became Santa! Filmed against the stark but beautiful landscape of Lapland this is the long ago story of a young Finn named Nicholas whom a village adopts after he becomes an orphan. If you have not seen this beautiful movie, please take a moment and check your local library or another venue! It is 76 minutes short, perfect for little viewers! A magical tale of this Santa we each still believe in no matter our age! Note to readers: I was not asked to review this DVD and all comments reflects entirely my own opinion! I came across this poem and just loved it! All of us, at one time or another, have felt heart-sick about the war in the Middle East. Apart from all the politics, we know that war is a failure of peace. No matter how evil the enemy, or how critically necessary it might be to remove him, war is simply tragic and results in the death of thousands of innocent people, and scars thousands more - if not all of us in some way. 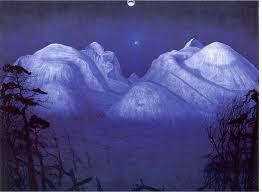 Part of our Advent longing should be to grow in our desire for peace - hunger and thirst for it! Let's let a desire for the Good News of Christmas grow in our hearts each day now. Let's feel the pain of "hostility" and fear and anxiety of all those who are in the middle of the terror of war - civilians, soldiers, and all of us. And as we feel this tremendous longing and hope, let's turn to God and ask for peace in our own hearts. In these precious days of preparation, we can all be peace-makers at home, with our friends and relatives, in our parishes and faith communities and where we work. Let us all continue to pray for peace in our world. Let's pray that hearts might be transformed, to find the path of peace together. 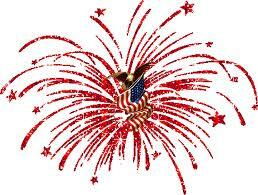 But, as we pray, let's let peace have a chance in our own hearts, in our own world, close at home. The peace-making begins with God's work in us. This is truly Advent longing. and let it begin with us! After 13 years in America, Abu Saheeh has returned to his native Iraq, a nation transformed by the American military presence. Alone in a new city, he has exactly what he wants: freedom from his past. Then he meets Layla, a whimsical fourteen-year-old girl who enchants him with her love of American pop culture. 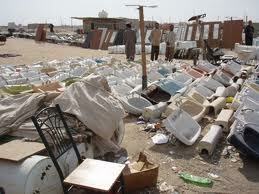 Enchanted by Layla's stories and her company, Abu Saheeh settles into the city's rhythm and begins rebuilding his life. 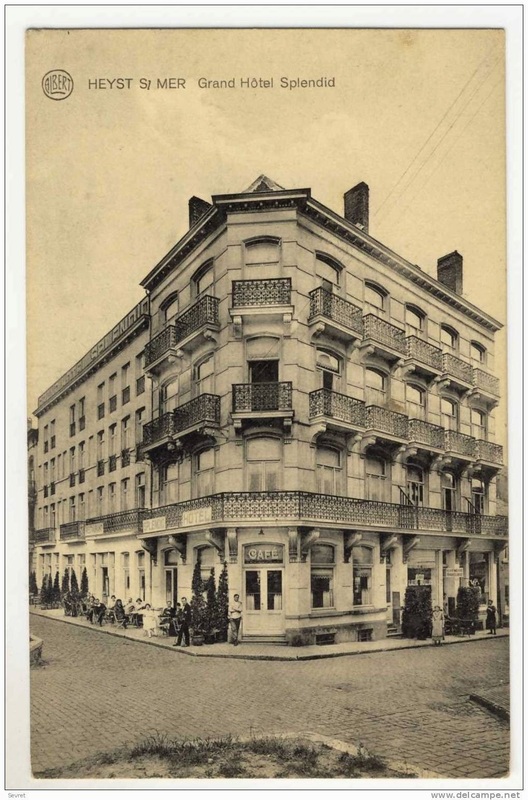 But two sudden developments--his alliance with a powerful merchant and his employment of a hot-headed young assistant--reawaken painful memories, and not even Layla may be able to save Abu Saheeh from careening out of control and endangering all around them. 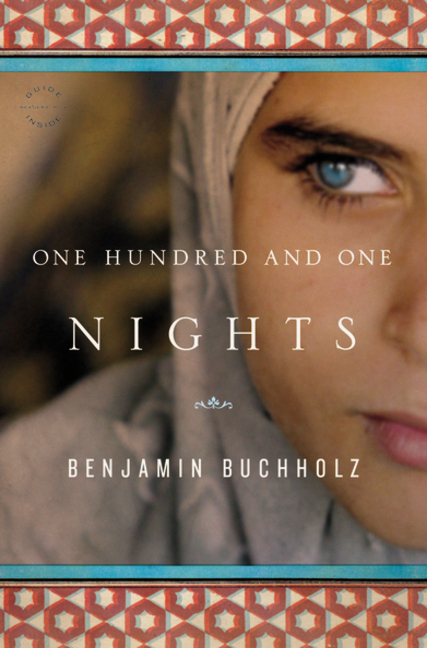 A breathtaking tale of friendship, love, and betrayal, One Hundred and One Nights is an unforgettable novel about the struggle for salvation and the power of family. I stand in awe for this story is not only hauntingly a part of actuality in Iraq, but as written by a Westerner, it is breathtaking! For his very first novel Benjamin Buchholtz introduces readers to a foreign world we have very little knowledge of yet he seduces us with tales of love, friendship and betrayals leaving us to find out more about Iraq. Families have seen their loved ones departing to serve numerous missions in this country which was once called after all 'The Garden Of Eden' a country with many secrets! As we welcome back many servicemen and women who have served in Iraq it is fitting we are given an idea of what life is truly like for its citizens, then and now, and the author excels in his descriptions! Benjamin Buchholtz' approach is to introduce us to a man who is seemingly rebuilding his life in a country unlike the one he grew up in. The present for Abu Saheeh is like a mirage...There are flashbacks which helps us to understand what Iraq once was, what has been lost after years of war and its subsequent ravages. It is a window of opportunity in discovering the other side...and his use of the present tense makes it even more vivid! The continuity described in the beginning of each chapter tells us something of the human stamina in surviving oppressed regimes and invasions of one's country. It is survival of the fittest and we have seen enough photos to let us imagine if only for a moment what it does to man, woman and child. Imagine for a moment the intricate invasion of sand following a storm...It infiltrates everything and leaves a sticky gritty residue. The Muslim world the author so well described is thoroughly unknown to us yet it intrigues and leaves us wondering...What life could we rebuild for ourselves shadowed by foreign powers with the limited resources allowed? What damages are hidden below the surface for so many and should it surface, which form will it take? This is not an easy book to read but I will highly recommend it! One Hundred and One Nights is told from a perspective other than the American point of view yet we soon discover Abu Saheeh has lived in America for thirteen years and the past, his past is haunting him! I will add a caution as this is after all a story about the aftermath of war and as such should be labeled for 'mature readers'. It is however a story which will stay with you, it holds so many emotions! In 2005, U.S. soldier Benjamin Buchholtz deployed to Iraq as a civil affairs officer, a liaison to the local community in the border town of Safwan. His impression of that war-ravaged country is encapsulated in this "cathartic" debut novel. After recently completing an additional assignment in Oman, Buchholz is currently working on a master's degree in Near Eastern studies at Princeton. He also writes a Middle East culture blog, Not Quite Right, and is drafting his second novel. This story is worth every 5 stars I have given it and I am looking forward to read Benjamin Buchholtz next novel (Taxi to Queen Alia) a tale revolving around the assassination of an American diplomat and his wife outside the US Embassy in Amman, Jordan leaving two children seat belted into the backseat of a taxi whilst their parents are killed. The taxi driver panics, flees the scene and we are to discover how two American children survives in a foreign culture. I usually do not like to post anything 'forwarded' but this is the exception to the rule: I not only recently discovered this author (Thanks to Sarah Sundin!) but I have greatly enjoyed reading her work! So far I have indulged in 3 of her books, (Arms of Deliverance, Dawn of a Thousand Nights,and From Dust and Ashes) I find each very hard to put down (and I convinced ex-RAF flyboy to read one)! 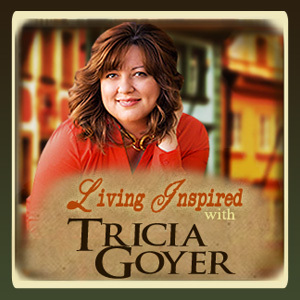 Tricia Goyer LIVES her faith and it truly inspires her writing! Add to this, she writes about a time period I am fascinated with, WW2, and you have a winning combination! 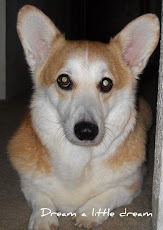 In fact it is a testament to my ability to multi task (almost) as I still manage to bake my own bread and pastries (every other day), clean the house (somewhat) and feed the troops (albeit only four of them unless you count the Corgi and the kitty!) and read, my favourite pastime! Oh and blog! So here Tricia Goyer's heartfelt message! Read on, there is a surprise giveaway included! 'If I could, I'd invite you into my living room and we'd sit in front of my Christmas tree. On the branches you'll see mostly homemade ornaments that my kids have made over the years. Around the house there are also candle holders made from tin cans and doilies made from cut-out felt pieces. I take greater joy in these simple mementos than fancy decorations and a house that looks as if could be on display in Better Homes and Gardens. Of course that wasn't always the case. As a young(er) wife and mom I'd want to display a certain image. I'd want everything to look, "Just so." I can't really say when things changed; it happened slowly over time. The more I wrote and shared what was really going on inside me, the more I understood that I wasn't the only one facing the same obstacles and struggles. The more real I became, the more others responded. I built connections not by being perfect but by offering my true self as a present to others. 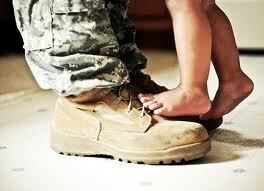 This Christmas remember that life isn't all about the tinsel, and bows, and bling. It's the simple things--like handmade snowflakes--that can bring the biggest smiles. And sharing what's really in our hearts--what's really in there down deep--is the best present we can give to those we love. My latest book, Remembering You, is a story about a girl and her grandpa (and well, there's much more to the story, we'll leave it at that!) 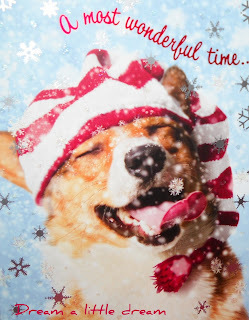 and what better way to give a shout-out to our elderly relatives this holiday than sharing our thoughts about them! A Remembering You Holiday MEME (a chance to win one of 10 four book prize packs)! 'It's Christmas and I feel like giving away presents! 'I'll be home for Christmas'! The Yule Log! Each year I hesitate baking it but this authentic recipe is worth the time and it would not be the same for my children without it! Heyst-sur-Mer! Granny left her heart overthere! Everything under the sun! I still have so many questions unanswered! Granny's love for the Sea! I can live just about anywhere as long as I hear the waves crashing on the shore! Granny's thirst for life! She lived to be 93, always looking to discover a new place, meet new people and enjoy life! Okay! Now it is your turn and be sure to answer all the questions in a comment no later than the 21st of Decembre for a chance to win! cbrown1 at yahoo period com! The Best Of News For Christmas! 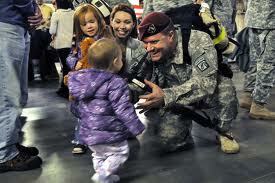 On Wednesday 14 Decembre 2011 members of the 18th Airborne arrived at Fort Bragg after being deployed in Iraq! We heard the good news as we prepared to cross on the ferry! 'President Barack Obama saluted troops returning from Iraq, asserting that the nearly nine-year conflict was ending honorably, "not with a final battle, but with a final march toward home." The return of these troops are the best news their families could receive for Christmas! Until the last one comes home!!!! 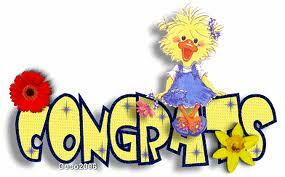 I will be contacting you shortly to confirm you are indeed a winner and for your snail mail address! I will then contact BAKER REVELL and let them know. Your gift will be sent directly from the Publisher and ALL IN THE SPIRIT OF CHRISTMAS! A BIG THANK YOU TO BAKER REVELL FOR THIS WONDERFUL PROMOTION! The welcome mat does not extend to you! Congratulations to the Winner and thank you to all that entered! This third week of Advent begins with “Gaudete Sunday.” Gaudete means “rejoice” in Latin. 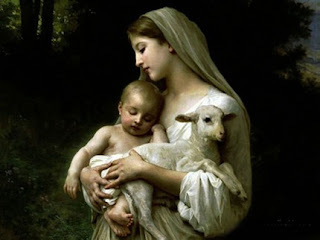 It comes from the first word of the Entrance antiphon on Sunday. The spirit of joy that begins this week comes from the words of Paul, “The Lord is near.” This joyful spirit is marked by the third candle of our Advent wreath, which is rose colored, and the rose colored vestments often used at the Eucharist. "Simply defined, the 'grace effect' is an observable phenomenon-that life is demonstrably better where authentic Christianity flourishes." 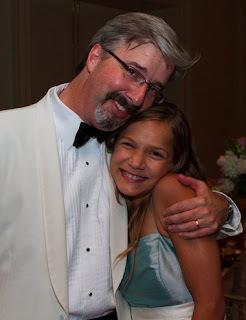 Historian and Christian apologist Larry Taunton has spent much of his career refuting just this sort of thinking, but when he encounters Sasha, a golden-haired Ukrainian orphan girl whose life has been shaped by atheistic theorists, he discovers an unlikely champion for the transforming power of grace. Through the narrative of Sasha's redemption, we see the false promises of socialism; the soul-destroying influence of unbelief; and how a society cultivates its own demise when it rejects the ultimate source of grace. We see, in short, the kind of world the atheists would give us: a world without Christianity-cold, pitiless, and graceless. And yet, as Sasha shows us, it is a world that is not beyond the healing power of "the grace effect." Occasionally infuriating, often amusing, but always inspiring, The Grace Effect will have you cheering for the courageous little girl who shamed the academic elitists of our day. "This highly readable book is a collection of powerful insights into the long-term consequences of spiritual indifference and, above all, a remarkable example of how to conquer it." "What would a world without Christianity look like? We don't have to guess because such a world does exist: it exists in the current and former Communist bloc. Through the inspiring story of a little girl born in Eastern Europe and now living in America, Larry Taunton draws a sharp contrast between the life-giving influence of Christianity and the worn out theories of atheism and radical secularism. 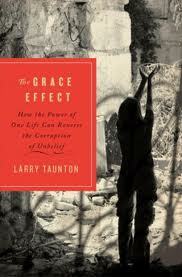 The effect--The Grace Effect--is nothing less than powerful and moving." A picture, a line or paragraph, even the cover of a book can compel us to reach out and find out more about its history and such was 'The Grace Effect' for me! Fixed Point Foundation, best described as a bridge between the sacred and the secular. "That's been tried." "The 20th century was an expansion in secularism that left no less than 60 million dead. What is the result? Human beings are treated like commodities. That's the result of decades of an anti-Christian, godless mindset, where human beings are seen as less valuable than the state. It necessarily leads to a view of life that is devaluing. I'm trying to give a glimpse of where our own society will go." The Tauntons glimpsed all this and more whilst spending 36 days in Ukraine, to adopt daughter Sasha from an orphanage! Let me start by saying ANYONE who says they are Christian and loves children should read their story. It certainly opened my eyes to the evils of corrupted regimes! The Grace Effect tells us Sasha's story but also of the many debates and discussions of Mr. Taunton with Atheists, some even personal friends. Deftly weaving a heart gripping recount of his family adoption of a special needs ten year old girl from Ukraine, their trials and tribulations, the corrupted regime and the lack of Christian love displayed throughout it all, Taunton reaches out with an unforgettable explanation for the grace effect! An amazing book, beautifully written and worth every 5 stars I am giving it! Read, come and witness as a true Christian and never forget! Larry Taunton is founder and executive director of Fixed Point Foundation, an initiative dedicated to defending and promoting Christianity in the public square. 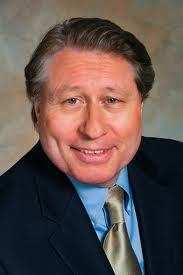 In that role, he has engaged some of the most vociferous critics of the Christian faith. The Sounds of Night is a book app that helps put a child's mind at ease when the lights go out at bedtime. This book addresses one of the primary feelings young children face; fear. The Sounds of Night reinforces the principle that God is the Creator of every creature. Since God makes all the animals that scurry and screech at night, children can lie down and sleep in peace. Jessica Kirkland lives in Southeast Texas with her husband, Robb, and five-year-old triplets. 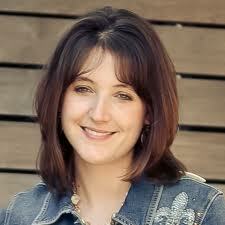 She is an author and speaker whose greatest passion in life is to see young families grow deeper in their walk with God. Jessica's newest adventure includes launching Christian Apps 4 Kids, which seeks to draw kids closer to Christ one app at a time. A recent release is a book app that addresses fear and scary nighttime sounds called The Sounds of Night, designed for kids ages 2-8. When Jessica isn't writing, you can find her cheering her boys on at the soccer field, or watching her little girl at the dance studio. The Lonely Stable is a book app that reminds children that it's never too late to live out God's plan for their lives. 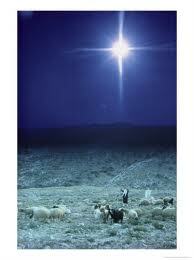 Told from the stable's perspective, this intriguing Christmas book tells the story of Jesus' birth. From time to time, we all wonder about our purpose in life. The Lonely Stable wondered why he was still standing, for he was weathered and old. As time passed, he began to question his purpose. This remarkable tale is a lesson that both parents and children can hold on to when they ask questions like, "Why am I here?" or "Does God care about my life?" This book shows us that God has made each of us for a special purpose. 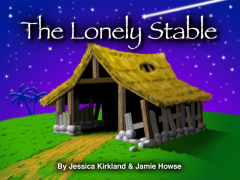 The Lonely Stable is aimed at kids ages 2-10 years old. 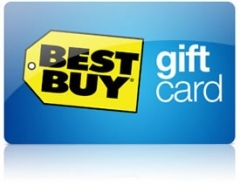 Here is a chance for readers to win a $75.00 GIFT CARD! All you have to do is place a comment on this post by the 15th of Decembre. A winner will be selected by Random.org and his/her name will be send to the Publisher for a chance to win the Grand Prize! Note to Readers: Unfortunately I did not have the opportunity to review personally this APP. However Jessica Kirkland is to be recommended for this new approach and I am all for progress when it comes to little ones! Please visit her site for further information! All information listed in this blog tour was provided by KCWC and author. 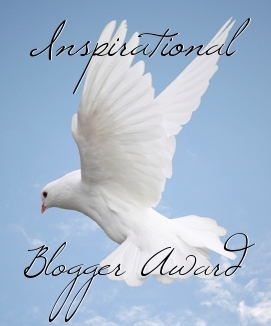 I received no compensation for mentioning this blog tour/giveaway. However like all readers, I have the opportunity to enter the giveaway!